Many people use multiple Gmail accounts these days. It might be a good idea to have two or more separate accounts since Google uses the same login info for all their services. For example, you could have an account for personal use and another one for work; or, you could use one Google account for your AdWords campaigns and only login to it from secure locations, while using a different account at internet cafes while traveling. Switching between Google accounts manually to check your e-mail is time-consuming and ineffective. Thankfully, there are some tools to check multiple Gmail accounts all at once and switch between them with a single click. Furthermore, Google themselves have provided a cool feature that allows you to link accounts together. 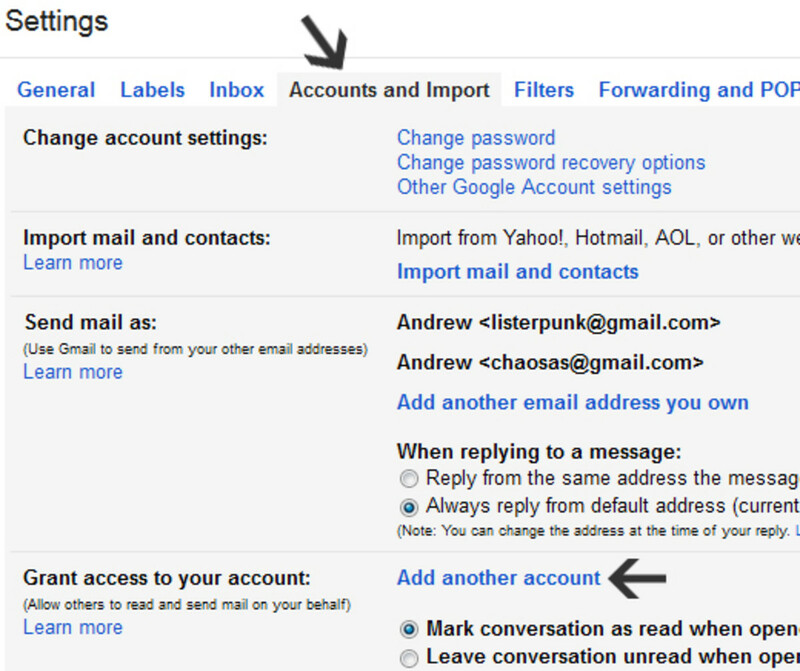 You will find five different ideas for managing your Gmail accounts on the page below. Gmail has a nice feature which allows you to send e-mails from any of your accounts without having to switch between them. So, for example, you could link all your multiple Gmail accounts to your "main" one and send e-mails from there without having to log off and log in repeatedly. Send e-mails from any address you own without having to log out. A dropdown menu will allow you to choose the "From" address easily. All you have to do is to login to your "main" account and click the gear icon. From there, navigate to Settings > Accounts and Import > Add another email address you own. The image above illustrates the steps. After you add the account(s) you want, you will be able to specify which account you want to send the e-mail from whenever you are in the Compose Mail mode, as seen on the image to the right. That's it - now your Gmail accounts are linked together, and you can send e-mails from any of them without having to switch users! Gmail Manager makes it easy to check and switch between different accounts. Remembers your Gmail account passwords and logs on them automatically on browser startup - if you want it to. Notifies you whenever you receive new e-mails to any of your Gmail accounts. You can of course turn off notifications if you want to. And you can choose how often it will check for e-mails, too. Allows you to switch between multiple Gmail accounts with a few clicks. First select the Gmail account that you want to switch to from the status bar, then left click on it. Done! If you mouse over the Gmail Manager on the status bar, it will show you latest statistics of the currently selected Gmail account (new messages in inbox, labels, etc). You can download the Gmail Manager from the official Mozilla addons site or straight from the developer's webpage. 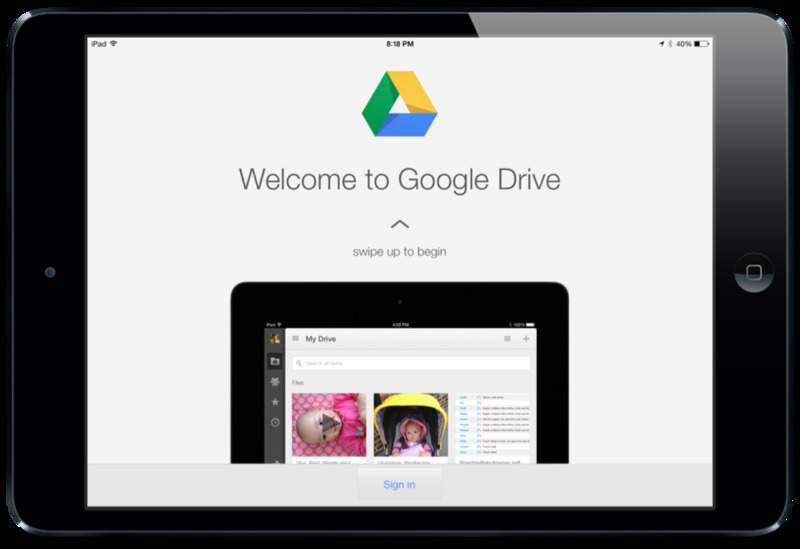 Switching between your Google accounts using this addon is a cinch! Now you can use multiple Google accounts simultaneously! Google has recently added a new feature called multiple sign in that makes using several Google accounts at once much easier. It works for Gmail as well as some other products. It won't work for things like AdWords and Blogger. Simply login to Gmail and click the e-mail link located at the top right corner of your screen. A dropdown menu will open, which will show your current account as well as an "Add account" button. Click said button and follow the steps, inputting the username and password for your secondary account. Now every time you click the e-mail or your photo at the top of any Google product page - including Gmail - the dropdown menu will open, allowing you to quickly switch between saved Google accounts. It is possible to add or remove accounts from the list whenever you want. This will allow you to check two different Gmail inboxes in two browser tabs without having to sign off and on - or use any other supported Google product in this manner. You will also be able to switch between accounts with one click. If you attempt to use a product which does not yet support Google's new multiple sign-in feature, your default username will be used. Perhaps instead of signing in to multiple Gmail accounts at the same time, you would prefer to simply read all your messages in a single inbox. This is fairly easy to accomplish: all you have to do is forward all your "secondary" Gmail accounts to your "primary" one. To do that, login to the account you want to forward and access the Settings using the gear icon. Navigate to the Forwarding and POP/IMAP tab and click the "Add a forwarding address" button. Type in your main e-mail and hit "Next". You're almost set - all you have to do is click the confirmation link in the message that Google just sent to the address you entered. And if you are one of the last people who are still using a desktop e-mail client, you can also take advantage Gmail's POP settings (same tab) to simply receive all your mail from multiple addresses in your Windows Live Mail, Thunderbird, or other program of your choice. Here's how to forward a Gmail account. An alternative way of joining several Gmail accounts is called delegation. It works by allowing another Google account to read your e-mails and send messages from your address. The messages you send using this method will have your name attached to them in the "From" field like this: Your Name (sent by Delegate). To grant delegate access to another Google account, open up your Settings and go to the Accounts and Import tab. Look for Grant access to your account section towards the bottom, and click the "Add another account" link next to it. Enter the Gmail you want to give access to, and click "Next Step". Now, the owner of said account (whether it's you or someone else) needs to check their inbox for a confirmation e-mail and click the link provided to gain access. Granting delegate access in Gmail. How many Gmail accounts do you have? If I delete one of my two Gmail accounts that are linked will I still receive emails addressed to my deleted account at my remaining account? If a Gmail account is deleted, so is any forwarding. Anyone emailing a deleted account will get a message saying such an email does not exist. However, there's a couple week grace period during which you can restore your account if you wish - after that it's gone forever. How do I delete my second Gmail address and keep my first one? Sign in with the account you want to delete (make sure it's the right one) at myaccount.google.com and click the "Delete your account or services" link on the rightmost column. Follow the instructions from there. How do I create a second Gmail email address? Open your existing Gmail and click your avatar at the top right corner of the screen. Click the "Add account" button, then the "Create account" link. How do I create a Gmail account for me, because it always opens with my grandsons'? Click the avatar (rounded icon) in the top-right corner of the screen. A menu should open up with a button that says "Add account." After pressing "Add account," you will be taken to a page with a Sign in form, and a link that says "Create account." The latter is what you want. How do I delegate to more than 15 Gmail accounts for my class? I don't believe there's a limit to the number of accounts you can be a delegate for. You could, however, use G Suite (free for schools) to fully manage Gmail and other Google products for your class. Is there a way to delete all my emails at once from my gmail acct.? On my iPhone? 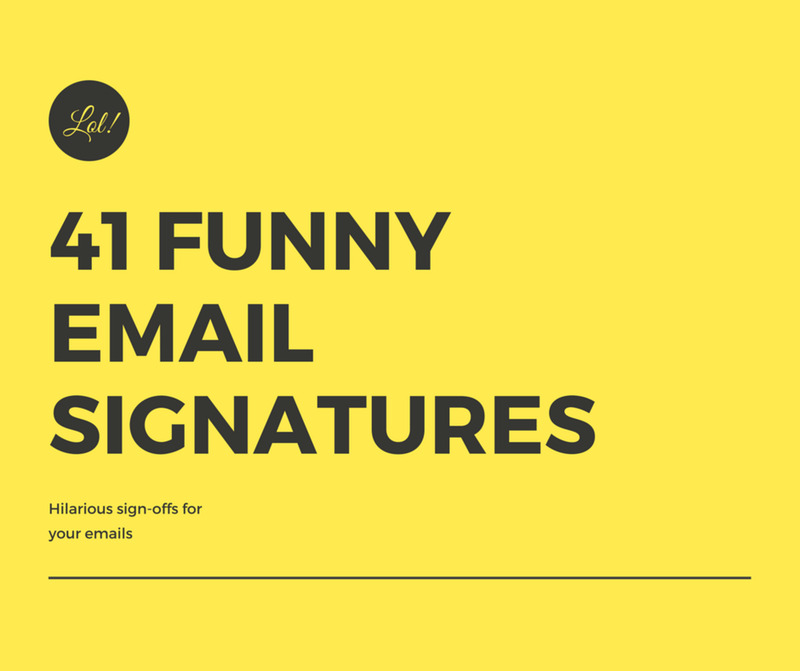 No need for plugins or forwarding or potentially sending from the wrong account. My problem is that I have access to two gmail accounts and one Facebook page. Somehow, persons responding to me on Facebook are split into two groups. One group shows up on Facebook and I see the responses. All is good. 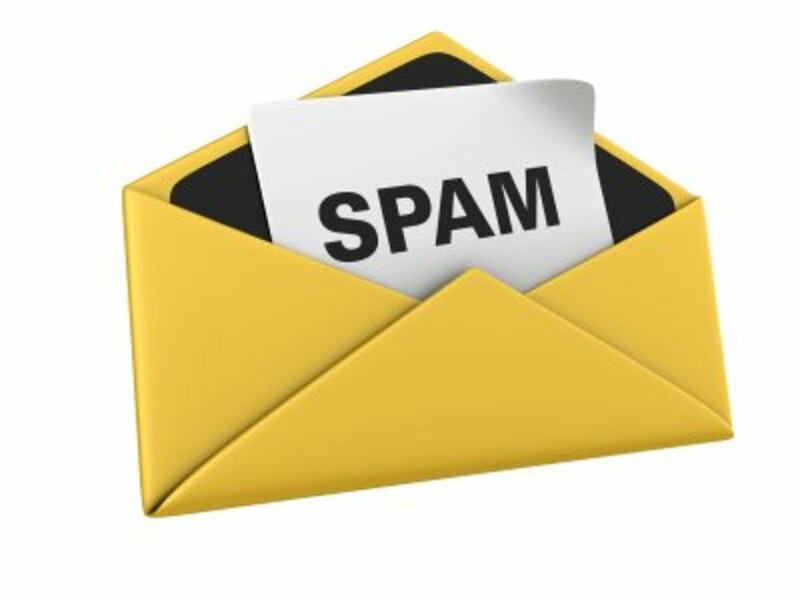 The second group are dear friends whose response and questions somehow wind up diverted as spam in the secondary gmail account that I do NOT check frequently. My questions are 1) HOW are these messages in Facebook being diverted to gmail and 2) why are they marked as spam in gmail? I did not realize you could do this. I learned something today. This is very useful. Thanks for sharing. This is going to sound a bit excessive but I currently have 66 Gmail accounts -- 1 account for each game and each software program that I've paid for and registered. Plus my personal email account that gets the most usage. I've written my own program that is similar to the Firefox extension mentioned above, other than it is a stand-alone utility, that logs in to each of the accounts and notifies me if there is a new email. The small program makes the number of Gmail accounts is easily manageable. What I am wondering about, does Google have a limit on the number of Gmail accounts that an individual is allowed to have? Thank you for taking the time to read my comment and for any insight that you may provide. @anonymous: You can just log in directly to each one and change your profile picture. I have several accounts, each with a different profile picture. One's for work, another for my freelance work and side projects, and another general personal account. I have multiple gmail accounts. I want to attach different profile pictures to each of these accounts. Does anyone know how to do this? @cstrouse lm: I tried PostBox in Oct 2012. After 2 wks of trying to log in two gmail accounts at the same time (that's why I bought it in the first place + nice PostBox features), I gave up. Searching for hrs on their FAQ (last updated in 2009), blog, and Forum did not show anything related to multiple gmail account login. Something that's worth learning and trying. Thanks for the info. This will come in handy! @anonymous: In my knowledge - No! Because doesn't assume you to create different profiles just because you have different e-mails. It might not be useful for them in long run to amass inactive profile just because it thinks we can have 10 emails but only one TRUE social id - G+. Hence you need to do what you do. Hope that helps! I have already been doing so. And I agree that it comes in a lot handy. Thanks for the read! @anonymous: Did this ever get answers? I had a second account that was work related and then was fired. i'd like to no longer have the memory of that place staining my email experience. How do I remove it from the pop-up list? Is there a way when in google reader to share a post to not only the g+ account im signed into (business account) but also my personnel g+? So frustrating that this only works on firefox! You've got lots of well-done information here. Can I add one more way to use multiple Gmail accounts? If you use a mail program like Microsoft Outlook, it should support multiple simultaneous Gmail accounts. Then you get the benefit not only of all your Gmail in one place, but all the rest of your mail there too. Anyone who wants to try this can visit my lens: https://hubpages.com/technology/gmailoutlook to see how to get their Gmail and Outlook working together. This is a very good article on multiple Gmail accounts and how best to create and use them. Absolutely a good tool. Only limitation is it works on firefox. If you are married to Chrome or IE than you may not be able to use. which is in some ways good. Use Ie or Chrome to browse, nav, work and open Firefox and use exclusively for email and lultitask type activities. this way you can move around a lot cut pastte etc into you appropriate email accounts without overloading and crashing your IE or Chrome. @anonymous: You could try using Gtalk ? ... and keep it signed in on the task bar.. that ways, you would get audio notification for new emails! This is really helpful. I have multiple accounts and was switching back and forth (which is a real hassle). Thanks for sharing! Using two different gmail addresses, I have two different blogger blogging accounts and I'd like to be able to combine them. Is there some way I can do that? I'm just goiing to try it! I manage multiple gmail accounts with a great mail client called Postbox (available for OS X and Windows). It's the best $20 I ever spent on software. 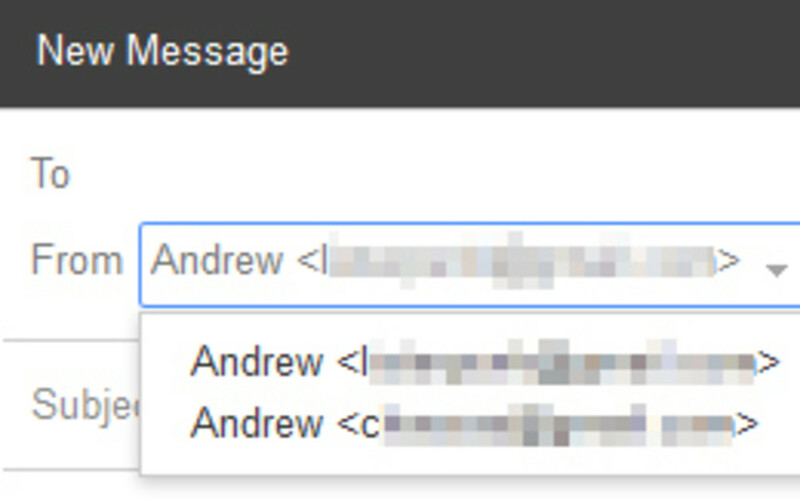 It's interesting to know that Gmail has a feature that allows me to send e-mails from any of my Gmail accounts. I've never been that organized with my accounts. Such an idea from you is a big big help. When I create new accounts I normally use just the same password so I will always remember it, is that a good practice? Hi - If I have two accounts and they are connected and I know that POP makes copies of mails in your secondary to primary. Is there a way when I delete mails (send to secondary account) in primary account and also delete the original in the secondary? I don't want to go back to the secondary after one month and all the mails I deleted in the primary are still there. Help, I had a gmail account and google voice and a number. but had to reinstall my OS(Mac) and then closed the gmail account. Now I can't find my old google phone number for voice and there are none available in my entire area or zip codes. On top of that I created a separate gmail account and now can't find any of my old info. What can I do to recover my old voice number? If I have a gmail account that is going to be deleted because I am graduating, is there a way to have all old emails moved to a new gmail account except for forwarding each individual email? Hi - on a related note, i have two gmail addresses, I no longer use one of them. how do i get rid of it and keep the other? Opposite question: can I delete only one of my 3 gmail accounts? I can't find a way other than to delete them all and start over with a new address altogether. is it there without sign in other mails use onley primary mail. There is an easier way to have multiple gmail (and other Google apps) windows open simultaneously. No need to set up anything in any Google options. I open Chrome and I log into my "primary" (first) gmail account. Then I click my account name in the upper right hand corner of the window and select "Switch account". In the new window, I select "Sign into another account". I use the Last Pass plugin to generate and store all my account log data. It offers me a laundry list of Google sign ins to auto fill the sign in with; I select another gmail account and it immediately opens in a new window. Now I go back to my "primary" account gmail window and repeat to open another gmail account. It does not work for me to try to use the newly opened gmail window, only the primary account one. I repeat to open up four gmail windows. The same work around opens Google Reader, and the Google Accounts help forum too. These six windows into Google seem to stay open for about 10 days or so, through my computer sleeping overnight, and the occasional complete power down, no need to log in again. Then, for reasons I can not deduce, after 10-14 days, I will return to find that all Google windows have been automatically signed out. You may not sign in to those signed out windows, Google blocks any attempts I have tried. 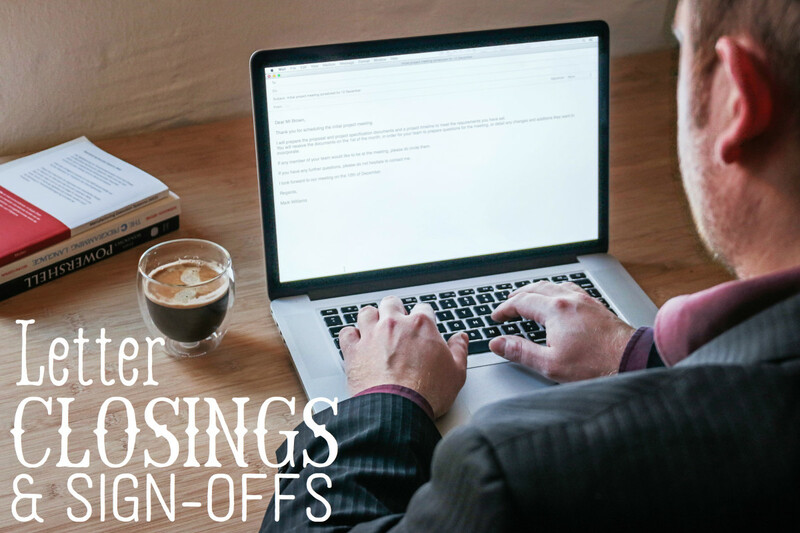 You must close them all, open a new gmail window, sign into the primary gmail account, and repeat the above procedure exactly as written. It's really quick if you use Last Pass. There is no need to forward mail. To the best of my memory, I never "linked" the accounts. For the final touch, go to Google Labs and download the app that notes the number of unread emails in an account as a tiny number on the Chrome tabs (also reports unread items in Google Reader). A quick glance at the tabs tells you all you want to know. I also use their "Undo Send" app. Google blocks every other method that I have tried to get multiple windows to open and stay open. When word of this workaround gets to them, I suspect that they will block it too. In the meanwhile, enjoy the good service! THIS was incredibly helpful. Thank you so much! I would rather NOT have all my mail go to my primary account. I want to keep the secondary just for business, and the primary only for personal. right now, everything comes into both, even if addressed to the secondary. Could someone help with this? Can someone tell me how to get more 5 email address working by linking them up to one account please? how do I delete old address from the username pop-up list when I go to sign in? I don't think this is very helpful. For Chrome my friend has on her homepage a button where you can open different gmail accounts all in one window. Do any of you know how to do that? In chrome, i just use the QuickLogin extension for managing multiple multiple gmail accounts and switch between them. It's easy and allows fast switching between the accounts without the need of typing in the account details. Is there a way to switch your primary/secondary gmail accounts? How do you make one of your gmail accounts primary...so when you go to +1 someone's post, it references it on one account and not another? I use the delegation method myself. Thanks for sharing different options! Thanks for the info, I had no idea this was possible with Gmail, this will surely make things a whole lot easier! Great information, I have multiple g-mail accounts. Didn't know you could connect them like this. It worked for me in chrome though.. If you use only two Gmail accounts on a daily basis, then you can make use of your browsers' private browsing window to access one gmail account and the normal browsing window to access your another gmail account. I have forgotten a gmail account I had set up. How do I retrieve that email address? @anonymous: Multiple Login is NOT a syncing option. It will not sync anything with either account. It will allow you to open multiple google accounts in a single browser session rather than having to have multiple browsers. 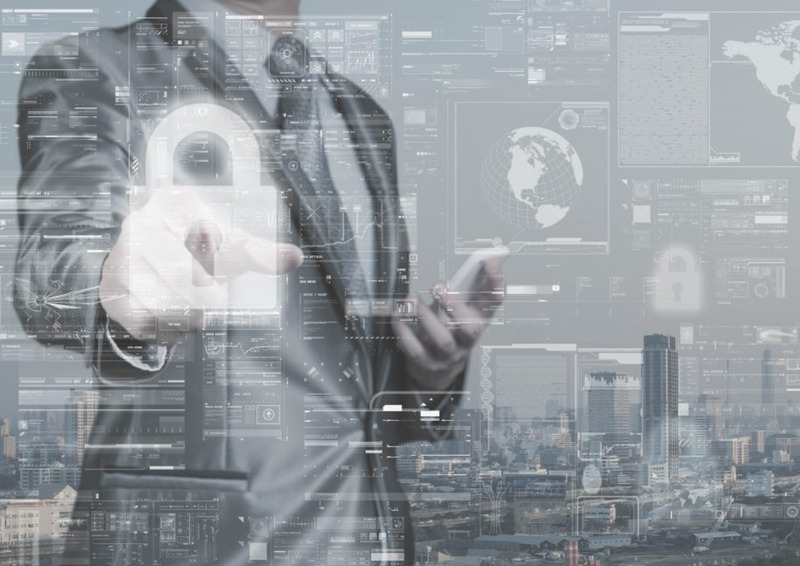 It doesn't matter which you are logged into in that particular tab you will only have access to google products for that particular account. I have this question - my primary account is X (Gmail, G+, reader, calendar, etc) I want to create alternativa gmail account Y. when sync them with mutiple log in, will Y have access to G+, reader, etc profiles which belong to X? i mean i am planning Y to be mail, which i share with other people. It's a great feature introduced by Google. Sometimes we need to maintain official and personal mail simultaneously. Like he lens. @johnturnercs: there is not a limit that I know of...Multiple Logins maxes at 10 I think but I am not sure about delegation...I haven't ran into an issue yet though. - Delegation does not share settings...in face some of the settings of gmail are not accessible to delegated accounts...for example gmail themes are not available to delegated accounts and you can only use the standard theme, same thing goes for most labs features. This is really helpful information about Gmail! Is there a limit to how many accounts you can link? Also, does delegation mean that there would be shared privacy settings on the multiple accounts? @anonymous: if you do the pop3 connection with another gmail account by default it will just make a copy and leave it on the other account...but you can select it to delete it from the remoted server if you want to. I got an question, after forwarding your emails to one box, is a copy only w that email sent to that box. @anonymous: you have to check the 3 boxes after you check the "on" circle. then it lets you click save. There is some great advise in this lens, thank you! Working with multiple "Gmail" accounts is fairly straightforward. I have multiple "Gmail" accounts, but also manage several seperate domains with Google Apps. These are the ones that I'd like to know how to manage. Google claims that the functionality of the Apps domains is very close to the native gmail addresses, however, I have yet to crack that code. Any suggestions will be appreciated. Also, I get the dread "Conflicting Accounts" error when I try to access some sites while logged into my App Gmail account. Even for getting into YouTube I have to log out of my App account and then login to my native Gmail account. If I can figure this stuff out, maybe I'll do a lens on managing the Conflicting Accounts error in Google. My blog post is about another option for using multiple gmail accounts at once in one browser through delegated accounts. Very interesting. I didn't know about that built-in G-mail feature. Thank you. This is a great article - thanks for writing. Please feel free to check out my lens on "How to Use Google Docs" also. I use Google Apps myself, and I noticed that a lot of services available to regular GMail accounts, can't be used with Apps. Does this work for multiple gmail accounts with google apps? i have tried it with 2 and it wont let me save the setting to enable pop for all mail even mail thats already been downloaded, as i want to transfer all my email to the new primamry account. Related - is there a way to transfer all your email, contacts, calendar, labels and settings from 1 gmail to another gmail account? and if yes also with google apps? hey, i have a question. i connected my non-gmail account with my gmail one. then later i removed it but i can still see the emails in my inbox from that account. deleting them doesnt help as there is a separate option to view emails from that account.. how do i get rid of it? @anonymous: Should be fairly simple, in your primary account click "Create filter" and in the "To:" field, enter the e-mail address of your secondary account. Create a separate filter for every secondary account. Hope that makes sense. I have 2 gmail accounts. I'm forwarding all emails from my secondary account to my primary account. I'd like to attach a label to those that are coming from my secondary account, so that it's easy to tell which account they originated with. Is there a way to set up a filter to do this? If I have a youtube account synced to a non gmail account while having an ordinary gmail, how do I make the gmail the primary account in multiple sign in? Hehe! It's the kind of information I was looking for as I've had hard times managing all my gmail accounts! Thanks for those tips! Thank you, I ill definitely try this. I had no idea! Thank you so much for the tips, I have several Gmail accounts and I am going to be trying these tips out. Thanks again. Thanks for explaining all this. I have at least two email accounts floating around in the ether that I cannot locate. To say that I was "challenged" in these areas would be a gross understatement! Good job! @anonymous: You can do that by forwarding your emails. Go to your Gmail settings &gt; Forwarding and POP/IMAP &gt; click "Add a forwarding address". Enter the address of your "universal" box. Do this for all accounts you want to forward. Hope this helps. I have set up my account so that I can reply from any of my Google accounts, but is there a way to receive emails from all of your accounts in one "universal" inbox? Or are you only able to set it up as different tabs within the same browsing session? Thank you! I did not realize that you could sign into multiple accounts. I am off to set this up now. Thanks. I wish google would do more to advertise these cool new features. I've been wanting that multiple sign-in for AGES! Thanks for posting it here.